These are my stock framing options. Custom frames are also available. As with everythign online, the colors are effected by your monitor and should just be used as a general guideline. That said, I stand by my work and do want you to be very happy with your purchase. 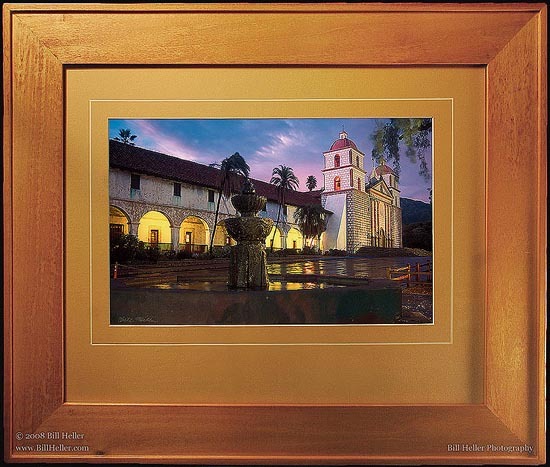 This is a sample of "Twilight Mission" matted with a Saffron mat and a caramel color wood frame. All materials are archival quality. 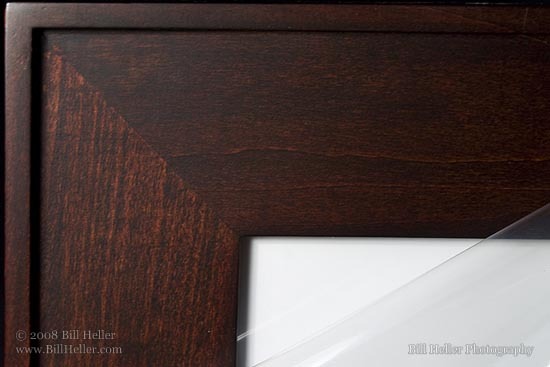 The back of the frame is sealed to help prevent dust and moisture from entering. 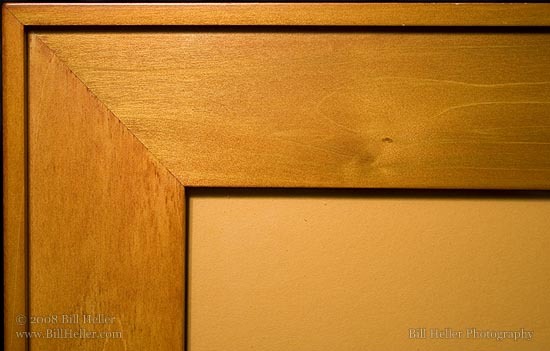 As with all fine art, you'll get best results if you keep it out of direct harsh light and extreme heat or moisture. With proper care my prints are designed to last a lifetime. 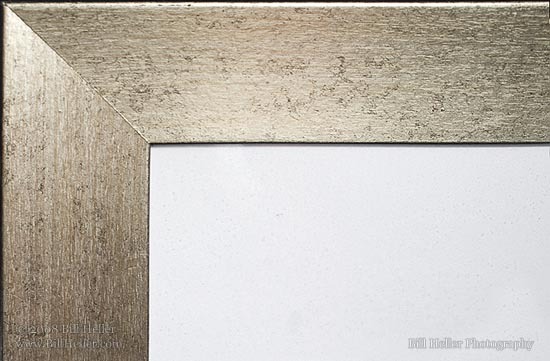 Corner deatil of above frame. Same frame as above in a darker wood. Wood frame with slightly concave surface. Sides of frame are black.